Almost one year ago, EMMURE released their blistering new record Look At Yourself under their belts, a brutal self-examination and observation, balancing hate, bile and perseverance, with the tempered experience of a life spent in pursuit of self-reliance and respect. It‘s beautifully expressed in a crushing barrage of riffs that never fail to push the forward-motion groove. 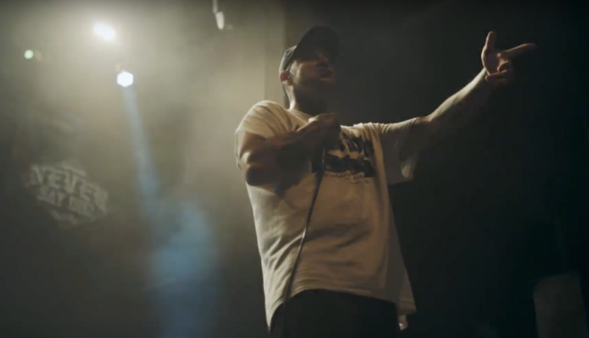 Look At Yourself represents a coming of age for EMMURE, a new chapter in an aggressive autobiography that stretches back to the band‘s very first album, released when Palmeri was barely out of his teens. It‘s infused with a brutal self-examination and observation, balancing hate, bile and perseverance, with the tempered experience of a life spent in pursuit of self-reliance and respect, from within and without. It‘s expressed in a crushing cacophony of riffs that never fail to super-serve the forward-motion groove of EMMURE.